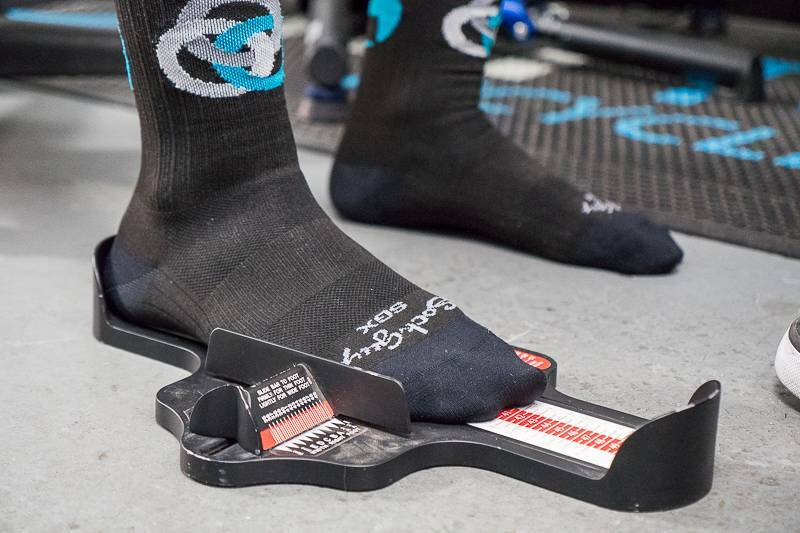 Your cleat position is one of the most overlooked, but most important parts of your bicycle fit. 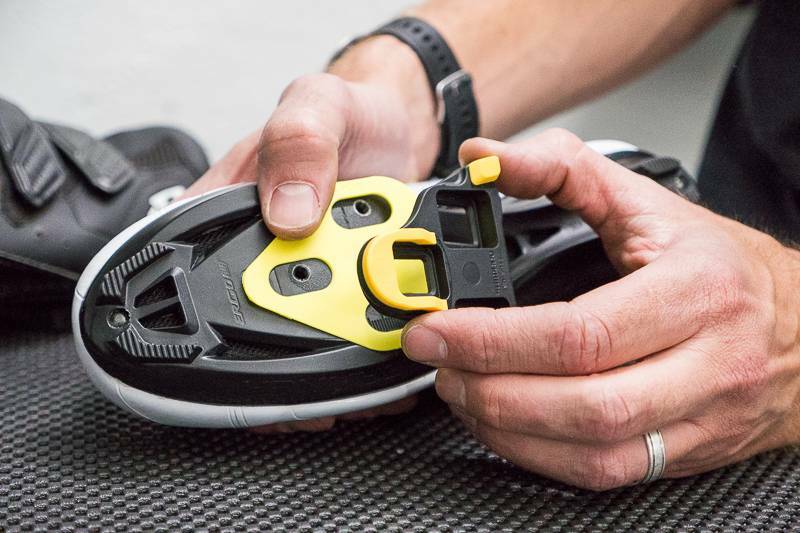 We can help you properly setup your cleats to avoid injury and optimize comfort and power. 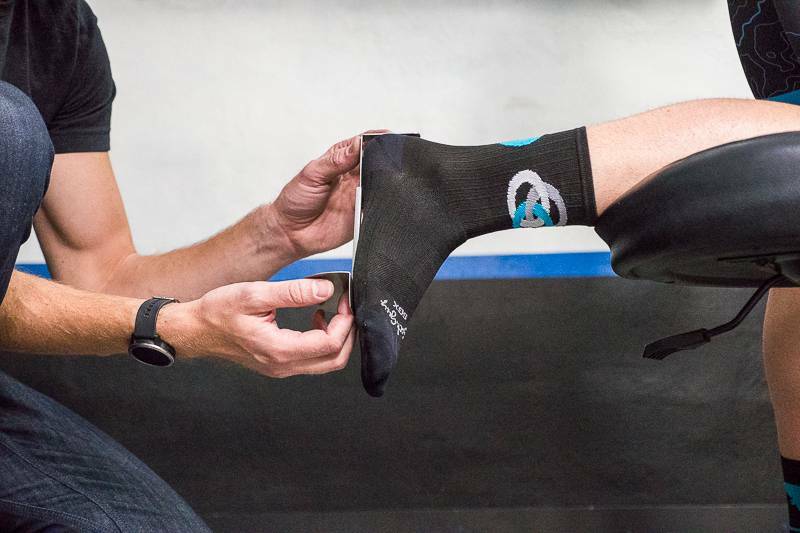 We take into consideration your cycling goals, natural stance, riding style, foot varus/valgus, foot size, shoe size and model, and pedal model when setting up your cleats. 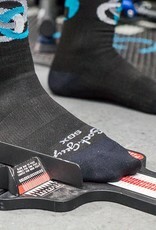 Adjustments include cleat fore/aft adjustment, medial/lateral adjustment, wedging (when needed), and cleat rotation. 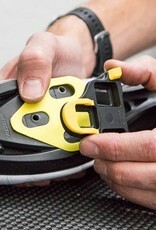 A cleat fit is included as part of our Professional Fit, but not part of the Sizing Fit. Cleat Fitting takes approximately 30min. I have had pain on the outside edge of both feet while riding for as long as I can remember. I thought it was because I have wide feet. 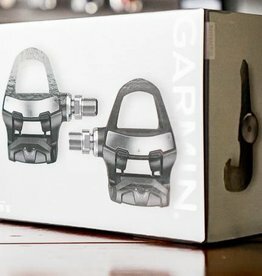 I have tried numerous shoes and nothing has helped. I scheduled a cleat fit with Antonio. I went in he checked several things on my bike and measured if my knees were tracking up and down properly. (They weren't). First he put in shims in my shoes and under the SPD cleats. I went out riding for several weeks and had no pain in my feet. I did notice that I was having knee pain in my left knee (probably masked by the previous foot pain). I went back because Antonio had done so well before and he put an extension on my left pedal and that stopped the knee pain. I have been riding through the winter on a trainer doing hard workouts 5 days a week and have had no problems whatsoever. As a side note I have had my bike cleaned and tuned up by TriTown. You know it is a good shop when you get your bike back and in the first minute of riding know it is working better than when it went in and it was working great before.